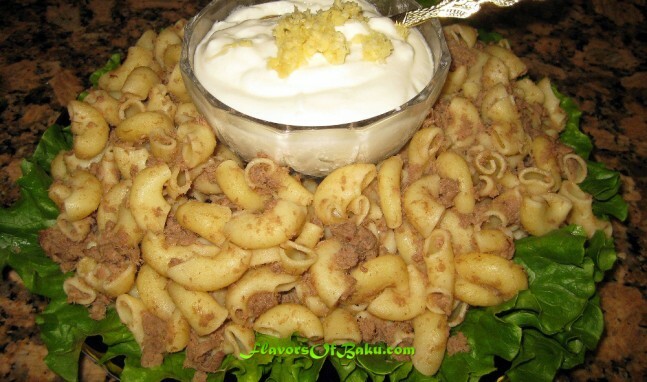 Pasta Nautically (also known as Makaroni po-Flotski in the Soviet Union) is a famous Italian dish made of pasta and meat. It’s called “Nautically” because this dish originated in the Navy and used to be a frequent meal for sailors. Non-perishable food, such as pasta and canned meat, were easily stored on the ship. This dish can be prepared in many different ways with different kinds of meat (lamb, beef, turkey, or chicken), and different types of pasta. 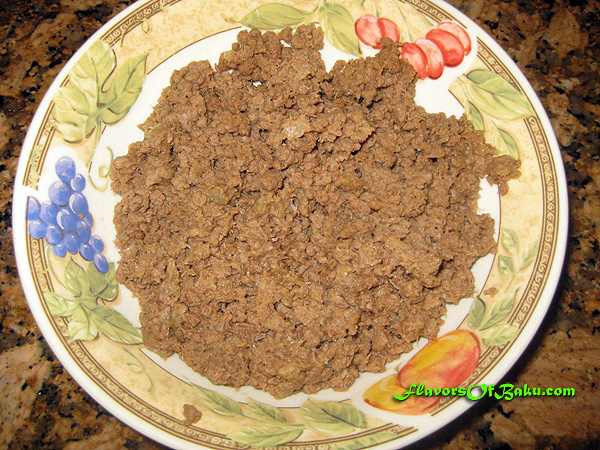 The most popular in Baku, the recipe similar to Italian one, where the meat is cooked in the broth, then fried with onion, ground, and mixed together with cooked pasta. 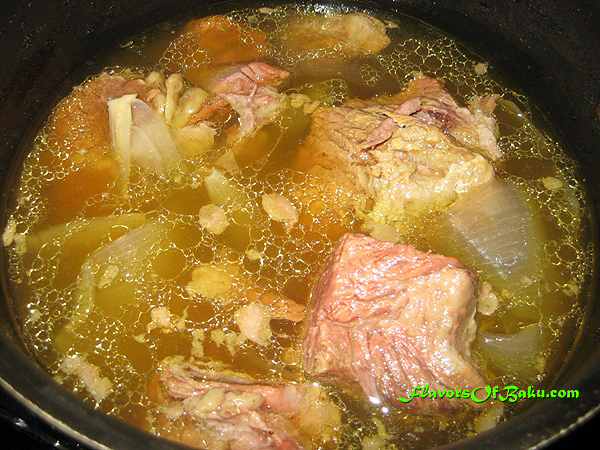 Place the meat in the pot and add the water just enough to cover the meat. As the water comes to a boil, skim the foam off, add one onion, and season with salt and pepper. Then, reduce the heat to low and simmer until the meat is cooked and tender. Peel and chop another onion. 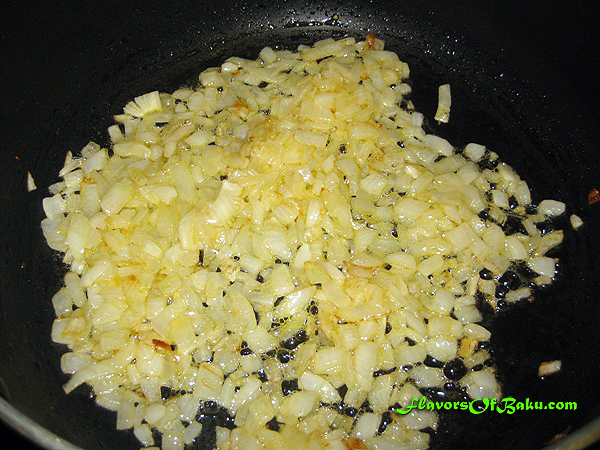 Pour the clarified butter into a pan, toss in the chopped onion, and fry until it becomes soft. 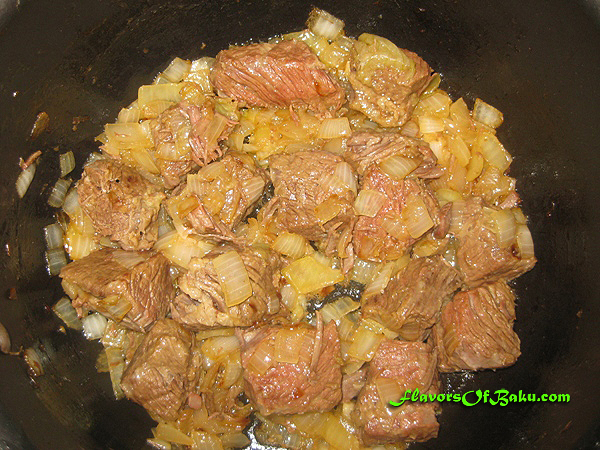 Remove the meat from the broth, cut into small pieces and add to the pan with the onion. Fry the meat and onion together until they are golden-brown. Let it cool down and grind in a meat grinder or food processor. 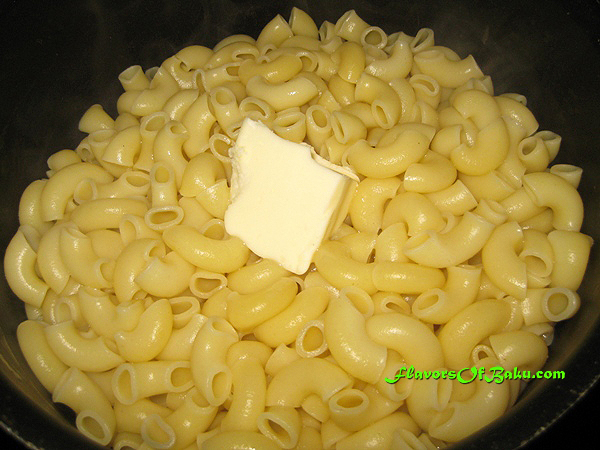 Cook pasta in salted water. Then, drain the water and add butter to the pasta while it’s still hot and mix. 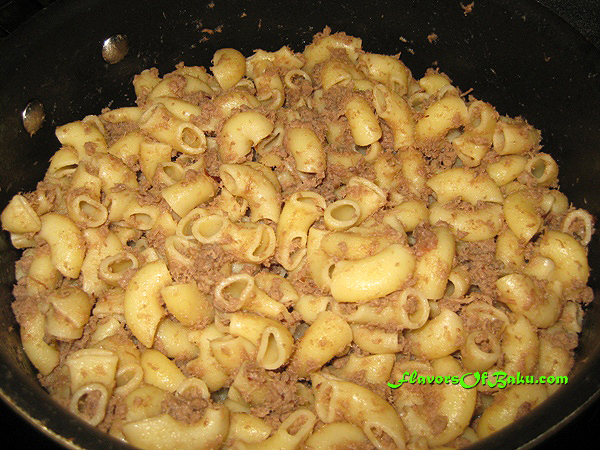 Finally, add the meat to the pasta, a little broth from the cooked meat, and mix it all together.